welcome to the island of misfit bicycles: Green-Anodized JOS! 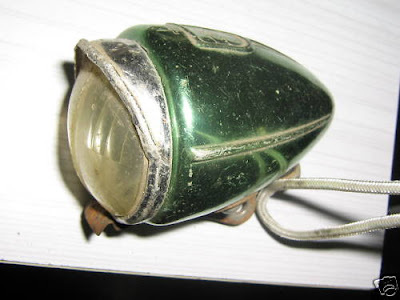 This surprise popped-up up on eBay-France - a JOS 513 headlight with the eyelid visor, and a green-anodized shell. 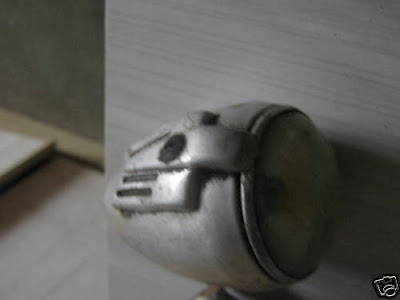 I've only obtained one other colored aluminum French light, a red-anodized 65mm of unknown manufacturer. I wonder if JOS did a complete spectrum of gold, blue, and black anodizing? 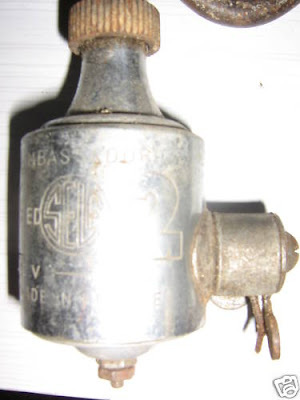 Same seller had an unknown headlight with interesting top crest, and a SELF dynamo. Appreciate your sharing this specific good post with a good theme, really excellent talent that you've got.